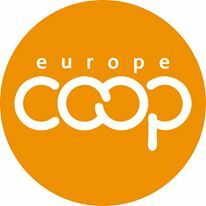 Cooperatives Europe is the voice of cooperative enterprises in Europe. On behalf of its 84 member organisations from 33 European countries across all business sectors it promotes the cooperative business model in Europe. Its members represent 141 million individual member cooperators owning 176.000 co-operative enterprises and providing jobs to 4.7 million European citizens - a force for economic growth and social change. Learn more about Cooperatives Europe reading our flyer.